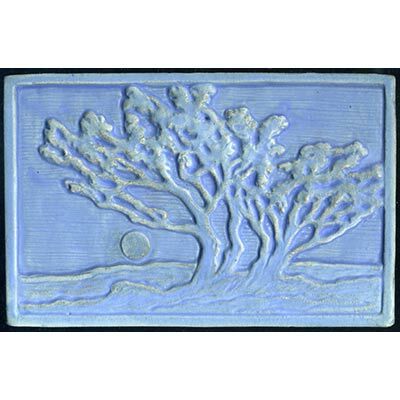 This Grove of Trees tile measures 4" x 6". It is carved in relief with a raised border. This tile is available in any single glaze or stain.